After attending a disastrous party before the beginning of her freshman year in high school, 13 year-old Melinda starts school as a pariah. She finds herself ostracized, alienated, and bullied because she was the one who called the police to break up the party. She faces the year mostly friendless at school and unable to talk to her parents at home, unable to confide in anyone to tell them what really happened that night. Art becomes the one outlet for her to express growing her loneliness, depression, and fear. As the year progresses, she must learn how to find her voice, to tell others what happened to her on that summer night, and to stand up to the one person who continues to haunt and threaten her. 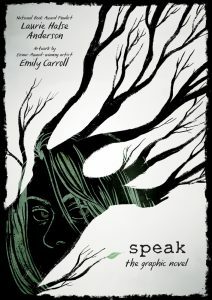 Anderson’s lyrical text melds with Carroll’s haunting black and white illustrations to create a powerful story of a girl learning to find her voice again in the aftermath of unspeakable trauma. Melinda’s journey through isolation, pain, and terror at the thought of her attacker resonate in today’s society as much as when Anderson published her novel almost twenty years ago. 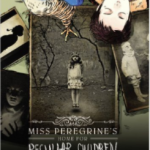 Carroll’s illustrations sweep across the page surrounded by black and dark gray backgrounds during Melinda’s darkest moments. The visual representation of Melinda’s emotional journey powerfully depicts her fear, loneliness, depression, anger, and ultimate healing. Hand this to readers who are fans of Laurie Halse Anderson’s novels, Exit Pursued by a Bear by E.K. Johnston, or graphic novel adaptations of novels. 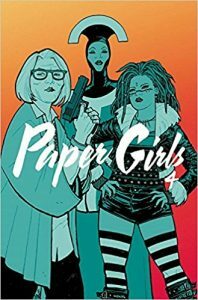 The time-bending quartet of ‘80’s paper girls are catapulted from dinosaurs to the eve of Y2K in the fourth installment of the series. This time, it’s Tiffany who has a brush with her future self and both Tiffanies are the only ones able to see the robot war swirling through town. While the Tiffanies wrestle with their dreams and realities, Erin, Mac and KJ uncover a way to learn more about these warring factions. Volume 4 is a solid addition to the Paper Girls universe with its lush coloring and layered narratives. Placing the story amid the fearful Y2K predictions allows the story to play with potential pitfalls of man-machine relationships. Bringing Tiffany face to face with her future self gives Vaughan the opportunity to explore the shifting goals that early adulthood brings–a relatable teen struggle. The expressions of all the characters reinforce their excitement, confusion, and determination. Chiang’s Tiffany gets more than one power stance, and his artwork captures 1999 down to the delia*s.
With its strong female heroines and world saving posse, pass this series along to fans of Stranger Things. 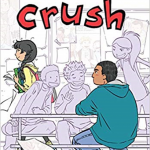 Teens who already enjoy Motor Crush and Descender may also find company with this hard-core cast of characters. 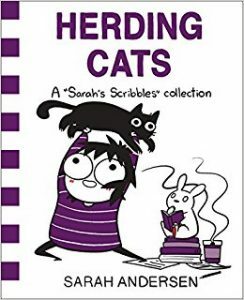 Sarah struggles with basic adult tasks in this comic anthology. Her comic avatar encounters a variety of relatable situations with her particular brand of awkward humor; from daily struggles like getting up on time, to darker trials of dealing with online harassment. Sarah covers a variety of relatable situations and topics that young adults will recognize and enjoy. The mixture of humor, anxiety, and relatable thoughts are extremely endearing. The anthology also includes a practical and timely section featuring advice on how to become an artist and how to survive as both an artist and a person in the current toxic internet culture. Give this to fans of Poorly Drawn Lines, or Cyanide and Happiness. Recommended for readers looking for engaging, insightful, lighthearted comics. 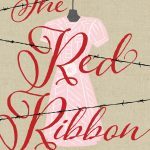 Previous Post 2018 Teen Read Week™ Initiative Launched!